Mosquitoes have a reputation for being a nuisance in the summer, but they are also considered the deadliest creature on earth. Many people have short interactions with mosquitoes; they notice being bitten or hassled, swat it and move on. However, it’s important to know how to protect yourself from the nuisance mosquitoes that bite without detection and even more so from the mosquitoes that are carrying more than just itchy saliva! 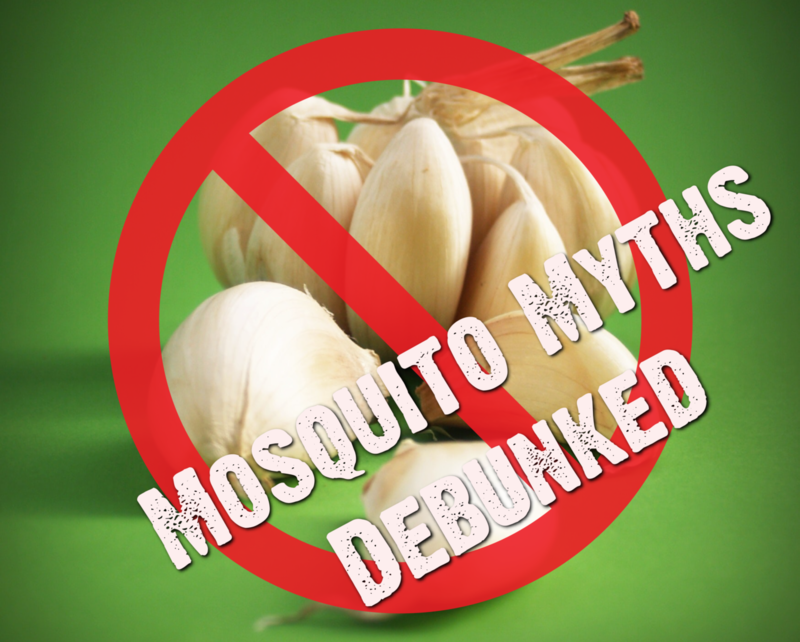 With decades of expertise in all things mosquitoes and personal protection, here are some common myths busted by the entomologists (insect scientists) at ARCTEC. False. First, only the female bites. She does this because she requires a blood meal to produce her eggs. After just one blood meal, a female mosquito can produce a clutch of up to 250 eggs. Second, it is estimated that there are approximately 3,500 species of mosquitoes in the world. The majority of these species, however, do not feed on humans. Some feed on large mammals, others on birds, and some feed on reptiles and amphibians. All mosquitoes bite during dusk and evening hours. False. This is one of the biggest misconceptions that puts people at risk. Several mosquito species, most notably Aedes aegypti, which is responsible for transmitting the Zika virus, dengue, yellow fever and chikungunya viruses, prefer to bite during daytime hours. What is more, they are aggressive and sneaky biters, often focusing their efforts around the knees and ankles so the person being bitten is not as likely to see or feel them. Mosquitoes are just pests and serve no purpose. False. Mosquitoes are in fact a crucial component of the food chain. Mosquito larvae and pupae are a food source for fish and other aquatic organisms, and adult mosquitoes are eaten by reptiles, birds and other insects. And, believe it or not, there are even some cannibalistic mosquitoes that eat other mosquitoes in the larval stage! So ridding the earth of all mosquitoes is not the answer, especially given that only a small fraction actually bite humans and an even smaller fraction transmit diseases to humans. Some people are bitten more often by mosquitoes than others because they have sweet blood. False. Each summer we take the Bug Off! campaign on the road and hear countless anecdotes of friends and families having a ‘mozzie magnet’ in their group and how they must have sweet blood. Contrary to popular belief, the “sweetness” of your blood has nothing to do with if a mosquito bites you or not. Mosquitoes are attracted to a number of different signals that our bodies emit, namely carbon dioxide from breath, heat from our bodies and skin odour. So why are some people bitten more often by mosquitoes than others? Aside from the long range signals such as carbon dioxide and heat, which we all produce, once a mosquito gets up close to a potential host, things are more selective. A variety of odours, including sweat, lactic acid, ammonia and aldehydes among others are detected by a mosquito’s highly sensitive antennae. This odour signature consists of hundreds of different odours, some of which are attractive to mosquitoes while others are repellent. Your ‘attractiveness’ is therefore dependant on whether you have more attractants or repellents and is influenced by many factors, but mainly your genetics. Visual cues may also play a part, as it has been documented that some mosquitoes are attracted to the contrast of dark colours versus lighter colours – so your holiday tan against your light summery clothes could be working in their favour. Eating garlic, marmite or taking vitamin supplements will prevent you getting bitten. False. Contrary to popular belief, taking vitamin supplements or changing your diet has not been proven to reduce your attractiveness to mosquitoes. It might however, affect your attractiveness to other humans. Garlic breath is no one’s favourite smell! As mentioned above, mosquitoes are attracted and repelled by specific chemical compounds produced by the body. Mosquitoes have very well adapted olfactory cells (smelling cells – like the ones in your nose), which can detect incredibly small amounts of these human-specific chemicals amongst a sea of other smells. Therefore, to prevent mosquitoes from detecting these signature human cues you must use specially designed products that actively repel or confuse mosquitoes with a stronger repellent compound than that of your body. These repellent products contain active ingredients, which elicit a behavioural response in blood-seeking mosquitoes, preventing them from biting you. False. While there are many products on the market, repellents do not need to be proven to work to be on the market in the same way that insecticides do. The insect repellents proven to be most effective are those that use 20-50% of either diethyltoluamide (DEET), p-menthane-3,8-diol (PMD), picaridin or IR3535. Repellent products also have different smells, so make sure to choose a product that you are happy to use regularly. You should apply insect repellent to your pressure points or mist it over you. False. You should apply liberally over all exposed skin as mosquitoes are able to home in on even the smallest of patches that you miss. By applying repellent to your pressure points you will be protecting those areas treated, though the remaining areas of your body are at risk of being bitten, and misting does not provide a liberal, even layer. When using an insect repellent, you should always follow the label and reapply regularly as repellents wear off, especially in hot or humid conditions.